We take care of you and the whole family! Do you want to get to the cause and stop covering up the symptoms? Dr. Iftikhar is board certified in pediatric chiropractic care by the International Chiropractic Pediatric Association. Dr. I is a former physical therapist and current doctor of chiropractic located at 4741 24 Mile Rd. in Shelby Township, MI. He focuses care using age old philosophies and modernized technology to ensure you are receiving the best possible care. Our office has been successful in caring for some of the most challenging cases such as headaches, vertigo, breeched baby, colic, low back pain, and even foot and hand problems. With a neuologically and scientifially based procedure, Dr. I uses Infrared Paraspinal Thermography, Digital X-Ray Imaging, and neurological testing as part of his strategy. He prefers to use low force and gentle adjustments that often times do not involve any twisting, popping, snapping, or cracking of the neck! 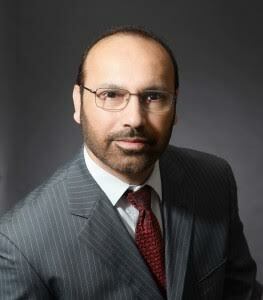 Dr. Iftikhar is our clinical director, founder, and full-spine pediatric chiropractor. Dr. I is a trained member of the ICPA, certified in Webster technique, and currently pursuing board certification in pediatric neurology. Dr. 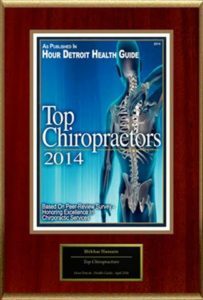 I and the staff at Chiropractic Integration have made the list of Top Chiropractors as voted by the hour Detroit Health Guide Magazine. He has been recognized as a leader in chiropractic in Michigan and Shelby Township! Dr. 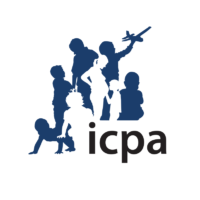 I is a Board Certified in Pediatric Chiropractic Care through the ICPA. Only a handful of chiropractors are able to obtain this prestigious certification. He is also an active member of the American Pregnancy Association. Upper Cervical Chiropractic is a unique niche within the chiropractic profession which allows its physicians to specifically locate, analyze, and correct injuries to the upper neck. There are less than 10 specialists that offer Upper Cervical Chiropractic care in Metro Detroit and our office is the only one with a Toggle Recoil Specialist. Pediatric care offered by Chiropractic Integration is unique in that all three physicians have been trained members of, and certified by the International Chiropractic Pediatric Association. The ICPA is the leader in standardizing pediatric chiropractic care, research development, and pediatric neurology. Full- Spine Chiropractic care is offered through a variety of Chiropractic techniques such as Gonstead, Logan Basic, Diversified, Activator, Thompson, and Sacro-Occipital techniques. This type of traditional chiropractic care offers relief for compensatory symptoms arising from upper cervical or traumatic spinal injuries. Perinatal care is offered to planning, current, and even struggling soon to be parents. All physicians in our clinic are certified in the world renown Webster technique. In conjunction with regular chiropractic care it has helped couples conceive, achieve, and receive their child safely. Nutrition will continue to be one of the most important pillars of overall health and wellness. Our staff offers individualized meal planning, dietary assessment, weight loss programs, and blood allergy testing. Education is the single most important piece to transforming community and public health. We offer Free courses over a variety of topics including nutrition, essential oils, exercise, pregnancy, and childbirth which can be found on our calendar. Jennifer initially came into our office 3 ½ years ago with plantar fasciitis and foot pain after running in a marathon. She works full time and manages being a mom of two children active in soccer competitions, gymnastics, and volleyball. She has been running marathons for years without pain, but it finally caught up. On top of the plantar fasciitis stopping her from running, she also lived with neck and elbow pain. All of this was interfering with her ability to live life and play with her children. Eventually, she decided to look for a Chiropractor in Shelby Township that she could take herself and children to see. Since receiving care at Chiropractic Integration with Dr. Iftikhar and Dr. Josh, her foot pain became a thing of the past and she can now live and run freely without pain. We still see Jennifer and her family on a regular basis for wellness chiropractic care over the past 3 1/2 years! Josh came to our office after living with shoulder pain following a sports injury. For several years he has lived with neck, lower back, and shoulder pain which he feels have been getting progressively worse. On top of that he was tired, retaining more weight than he would like, and was rarely able to kayak and go biking. . He manages an HVAC crew and is constantly performing repetitive overhead work. After working for years building systems for hospitals and sport venues, Josh’s body had really taken on some stress. Finally, he decided to look for a Chiropractor in Shelby Township. He tried every possible remedy in the past but nothing was permanent. Since receiving Upper Cervical Chiropractic care with Chiropractic Integration, he has now been able to live a healthier life on all levels! I am so elated! You are the first I am telling of the good news! My A1C was 6.6 and Dr. Stanton has been pleased with me. That is 8.39 down to 6.6 in 4 months. It works Dr.! Thank you so much! My first visit was last year in November and I can honestly say it was one of my best decisions I have ever made. I had originally gone to Dr. I and Dr. H because of tension/back pain I was having. Not only is my back pain COMPLETELY gone, but I feel so great overall! My posture has improved so much and I am able to stand straighter much more comfortably. Dr I and Dr. H are so knowledgeable and they go above and beyond. They both have so much passion about helping others. I took my second set of films yesterday and I couldn’t believe how much improvement there was in just 9 months! My only regret is not going to them sooner. If you are thinking about going to a chiropractor this is the place to go!!! I have nothing but wonderful things to say about the staff at Chiropractic Integration. In addition to any adjustments that Dr. I performs each week, he also takes the time to walk you through exercises and stretches that will be beneficial to ease specific types of discomfort. Knowledgeable and caring! “I have been seeing a chiropractor most of my life and I just have to tell you how different and amazing Kenzie and Josh at have been. There are so many things that set them apart from my other experiences, there are 2 main things though that stand out to me. First off; their conservative approach to my care. I only get the necessary hands on care from them when misalignment is causing my bodies communication system to get in the way of my healthy functions. This allows me to deepen my trust in my bodies ability to heal and thrive alone. Second; the spiritual nature that is available, if you are interested, which has blown me away. When I come to my appointments present I can experience profound things like feeling heat being released from my body, and seeing the transfer of energy. After adjustments you are encouraged to sit and rest for about 15-30 min, Kenzie and Josh help make this a priority every time. I use this time to meditate and the transformation every time is profound. Today I came in exhausted from trying to stay centered through the storm we have been going through and trying to stay present in my many emotions. When I left I felt so grounded, everything seemed clear to me. My anxiety about our house was expelled from my body and I was able to gain new prospective. It was amazing, I left smiling and laughing with Elliott, we danced in the car and I felt joy that has been very hard to come by the last few days. Birth coach , Mother. Nature. “Finding Dr. Iftikar has been one of the greatest blessings for our family. My 3 year old daughter and I have been seeing Dr. Iftikar for about 2 ½ years. He has been an absolute life saver. My daughter was born with a very bad case of torticollis. She was going to physical therapy 3 times a week for 1 hour each time. After months of doing this they kept telling us that she was not making any progress. You can imagine the emotional breakdown I had as her mom. Now what do we do? I was in for a visit with Dr. I for migraine headaches and was talking to him about her. He told me to bring her in that he would like to take a look at her. After doing so he explained everything that he wanted to do and had a plan ready. We started doing the chiropractic visits as well as her physical therapy. After a couple weeks her therapist was asking what we were doing different because Skylar was finally starting to show some progress. After another few weeks of both we stopped the physical therapy and just kept seeing Dr. I. He straightened her right up. Looking at her now you would have never guessed that she had any problems. She still to this days see’s Dr. Iftikar every other week. Even Skylar will now ask for me to take her when she is not feeling right. As soon as we go in he pin points exactly what she had been complaining about before we even say anything. There are not enough words that can be said for what a difference Dr. Iftikar has made in our lives. All Statistics used in this chart are based upon studies reported by the Chiropractic Research Foundation of the National Chiropractic Association, the committee on Research of the International Chiropractors Association, and Parker Chiropractic Research Foundation. These Reports represent the results obtained under chiropractic care for a large variety of chronic conditions. The vast majority of these cases had also been previously diagnosed and treated by practitioners other than Chirorpactors. Doctors of Chiropractic do not accept all cases but help nearly all they accept! Phone today for an appointment to ask the questions and learn the facts about chiropractic and what it can do for you.